Hello! Thank you for considering me as your Drum Coach. Good drum instruction is an investment. As your Drum Coach I will help you establish the skills needed to continue to improve as a musician well beyond the time we work together. My roster is full so I am no longer accepting students at this time. *These are my anticipated times. They may changes as my roster fills up. The cost of each lesson includes the weekly session and the Drum Coach prep time. Therefore sessions missed by the student cannot be refunded or rescheduled. All payments must be made in advanced of the lessons provided [Semester students may make 4 monthly installments]. My Semester students are expected to practice a minimum of 60 minutes a week [however, more will be recommended for more advanced students]. If any student fails to maintain the 60 minute expectation, then he or she will be given a one month period to begin meeting the weekly minimum. If no improvement is made the student will be asked to discontinue as a semester student but allowed to stay on at the week to week student rate. To sign-up please sign-up here. 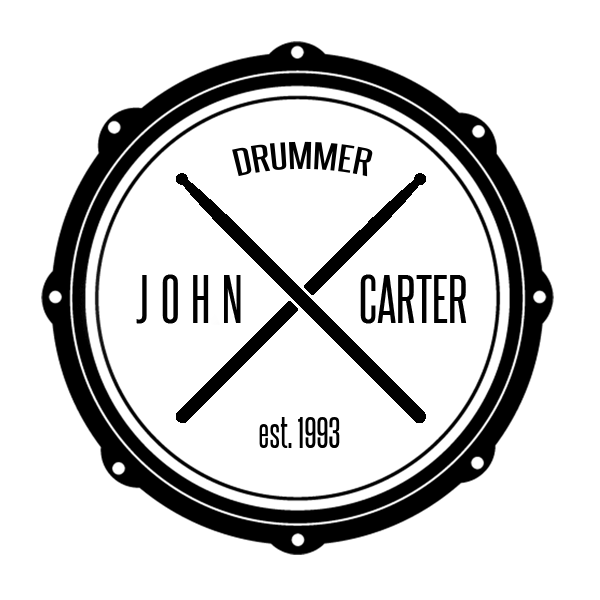 If you have any questions you can reach me at 951.852.5630 (call/text) or at john@johncarterdrummer.com.